In 1952, Dr. Donald M. Casteel opened the first Casteel Chiropractic in Clearfield, PA. Today, our family of chiropractors spans three generations, six offices, and ten doctors. Chiropractic is more than a job to our family. We are passionate about helping others live well. Dr. Donald M. Casteel grew up an only child of a modest family. His father was a Pepsi delivery man. In high school, Dr. Don fell in love with two things: football and the Homecoming Queen. He graduated a star of the team and after serving in the Korean War, he married the girl. The couple immediately left for Palmer College of Chiropractic in Davenport, IA where their adventure began. Don attended college and Zaneth Jane worked as a nurse. After graduation, the couple traveled Pennsylvania searching for a town to call home. When they drove into Clearfield, they saw The Progress Pontoon on the Susquehanna River. They immediately fell in love with the classic, All-American small town. The couple celebrated a life of 64 years of marriage, 5 children, and 15 grandchildren. Dr. Don lead a passionate career in chiropractic that has directed three generations. Dr. Don was a man that invested his life in people, lived with vibrancy, was guided by God, his imagination, consistency, and courage. Imagination is everything. It is a preview of life's coming attractions. Dr. Gary M. Casteel was the oldest son of five children raised in Clearfield, PA. Like his father, Dr. Don–Dr. 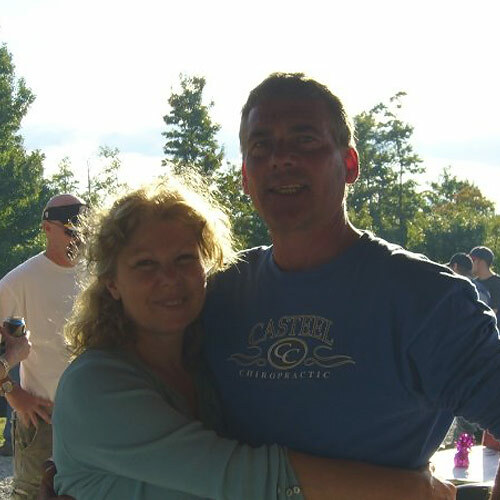 Gary married his high school sweetheart. Vickie was employed by a local bank before moving with her husband to Iowa. There she continued to work while he attended classes at Palmer College of Chiropractic. Dr. Gary completed extensive training in Applied Kinesiology. In 1975, Dr. Gary returned to Clearfield with his Doctorate of Chiropractic degree and started his career. 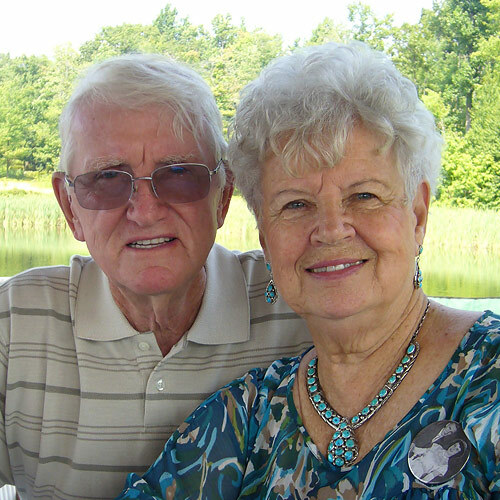 Together, Dr. Gary and Vickie built a life based on respect for God, family, friends, Central Pennsylvania, and the Innate wisdom within every person. Dr. Gary has always been an active leader of various pastimes including snowmobiling, kayaking, hunting, and enjoying the local rural mountains. Through the years he has volunteered services to the school districts, the Boy Scouts of America and canoe clubs. Dr. Gary has had many kid patients grow to become chiropractors. 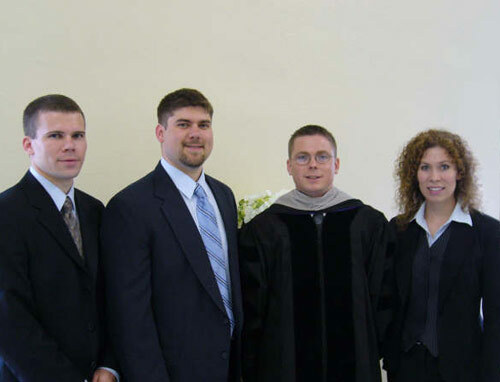 The couple raised four children – Keely, Joel, Josh, and Ian. All four children followed careers in chiropractic. Today, Dr. Gary is a highly experienced chiropractor who sees patients in Clearfield. There is a healing energy that flows through everything and everyone. Dr. Keely L. Casteel graduated from Curwensville High School, Penn State University with a B.S. in Nutrition and Distinction, and Palmer College of Chiropractic with a Doctorate of Chiropractic degree and Service Honors. She joined her father, Dr. Gary, in the Clearfield office in 2000. Dr. Keely has actively volunteered for the Clearfield community. She was the chairperson for the Clearfield Lighting Committee in 2007-2008 and lead the build of the downtown Clearfield Shaw Park Santa House by the Clearfield Co. Career and Tech. students. She also was a founding member and president of the Clearfield Revitalization Corp. (CRC), from 2008 to December, 2013. Under her direction and the hard work of many, the grass roots organization became a non-profit 501c3, was awarded/implemented the PA Main Street Program, and earned National designations/State awards. The CRC grew into one of the youngest revitalization groups in the State of PA. The CRC continues to operate by being committed to leading the revitalization of the All-American people, places and spirt of Clearfield through inspiring, educating, enabling and empowering our community. Dr. Keely was recognized as one of the Central PA Top 100 People in 2010 by the PA Business Central magazine. In 2014 Dr. Keely was nominated for the Clearfield Chamber of Commerce Distinguished Citizen of the Year Award. And in 2018, Dr. Keely Casteel was voted Progressland Readers Choice Best Chiropractor. Dr. Keely’s brothers are also chiropractors: Dr. Joel Casteel practices in State College, Pa and Dr. Ian Casteel practices in Punxsutawney, Pa.
We never know what little thing we may think, say or do today will affect the lives of millions tomorrow.